Our commitment to providing the most comprehensive range of repair and renovation products in the UK means that we are continually adding new items to our selection. For convenience, these items can be quickly accessed within the dedicated ‘New Products’ section of our website. 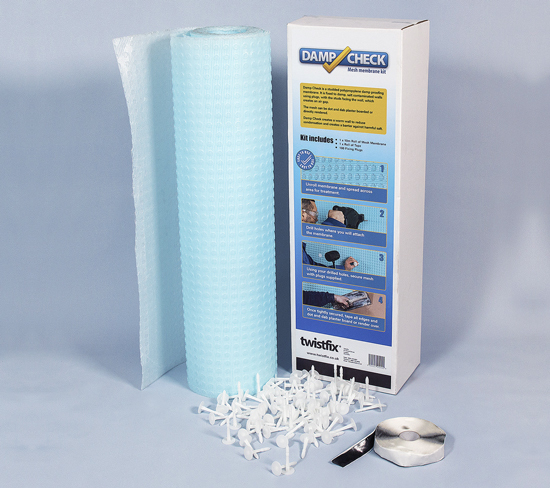 We are proud to introduce the Twistfix Damp Check Kit, which contains everything required to create a highly-effective moisture barrier while isolating damp walls from any internal finishes. Ideal for use when a remedial damp course has been introduced, the damp proof membrane blocks the penetration of damp and salts, incorporating both ‘stand-off’ studs and mesh on its opposing faces, meaning it can easily accept tile adhesive, cement renders and dot-and-dab dry-lining. Along with a substantial 10m roll of air-gap tanking membrane, the kit includes a 10m roll of butyl-rubber waterproofing tape and 100 hammer-in fixing plugs. The membrane is designed to be quick and easy to install, cutting easily with scissors or a knife and flexing perfectly around corners. 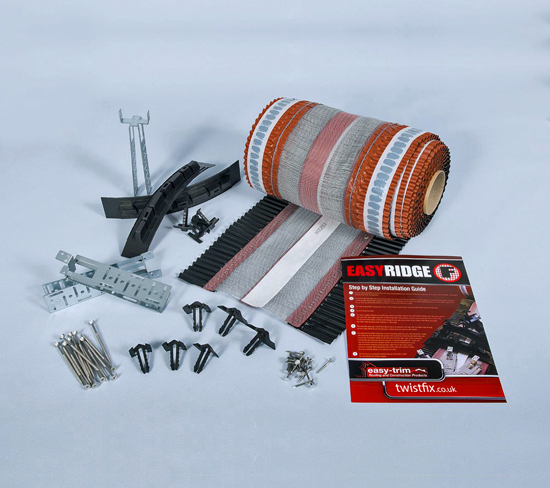 Also joining our product range is the Twistfix Dry Ridge System, designed to negate the need to bed ridge tiles and replace pointing periodically. The comprehensive kit provides a complete mechanical fix that can be installed in any weather, preventing time being wasted waiting for a suitably dry day. At the heart of the system is a six-metre length of ventilated ridge roll which is formed with added butyl to provide the tightest waterproof seal. 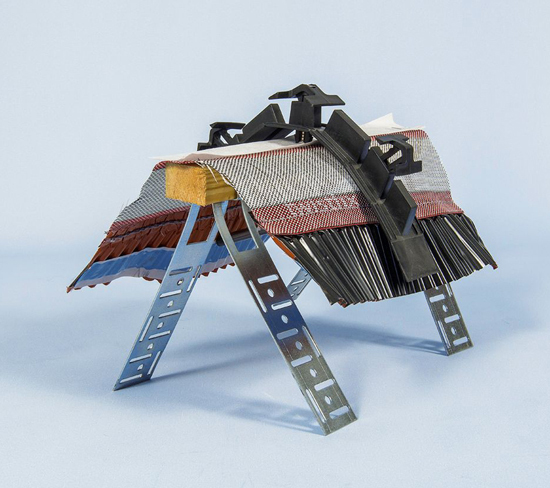 Complemented with a stainless steel fixing pack that maximises durability, the system can be used to fix all concrete and clay roof-ridge tiles and features innovative ratchet unions and high-strength nylon ratchet clips. Lightweight for easy handling, the system is highly resistant to wind and water and its mortar-free formulation is vapour-permeable. Once installed, the system’s service life will outlast that of the roofing structure itself.. Please enjoy browsing our exciting collection of new products and do not hesitate to contact our expert team for further information. You can call us on 0845 123 6006 or send email to sales@twistfix.co.uk.